In th e ongoing battle to make ours a greener planet, the EPA has targeted PFOA (perfluorooctanoic acid) as a likely carcinogen, and is demanding its complete removal from manufacturing in 2015. You may not be familiar with PFOA itself, but you have likely come across it at some point in your life, whether it be in your stain-resistant carpeting, or the non-stick coating used on your cookware. 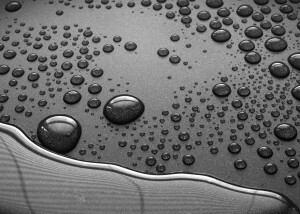 PFOA is considered to be a “surfactant”, which is used to lower surface tension and, up until now, has been key in the manufacturing of many non-stick coatings. In 2006, a stewardship program was announced and put in place by the EPA that would eliminate all PFOA emissions by 2015. Great strides have already been made, seeing those emissions drop by 95%, but PFOA and other similar chemicals can remain in the environment for a long time, even in small amounts. PFOA has been found in the blood of almost 98% of the U.S. population, and levels are higher for those who live near chemical factories. Studies have shown that there are links to cancer among animals, and these concerns have sparked action. While there are no documented risks to human health, many companies have taken the initiative and volunteered to find suitable replacements for PFOA. As a result, many coating companies throughout the United States have been forced to turn to other options, as well, in order to keep up with an increased customer demand for PFOA-free coatings. 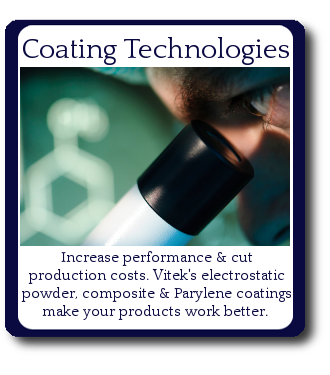 In an effort to keep up with new laws and regulations, Vitek Research Corporation has already begun incorporating PFOA-free non-stick coatings, and currently has a full line of these coatings that are being used in the medical and industrial fields. 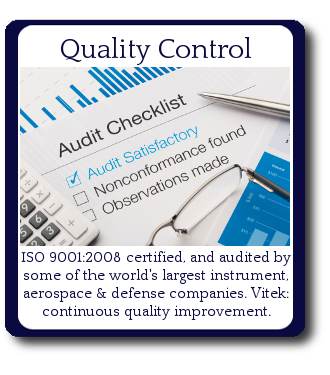 Vitek even offers a food-grade non-stick coating that boasts a “PFOA-free” seal of approval, and it is currently being used on commercial and consumer cookware. Vitek’s line of PFOA free non-stick coatings have the same properties as other Teflon® coatings, but are far less harmful for the environment, and meet all the requirements set forth by the EPA. 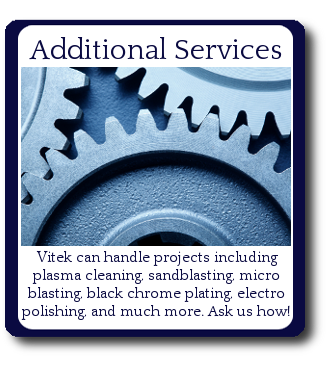 Vitek has been working with these coatings for years and they have proven, time and time again, to be of the highest caliber. 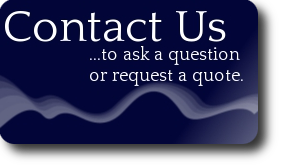 If you have any questions regarding Vitek’s PFOA-free non-stick coatings, please contact us.